It's a chilly minus five degrees F (!!) as I get up this morning. 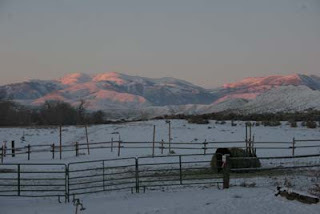 A bit cold for southern Idaho. As the sun comes up over the ridge, fairy dust begins to fall from the clear sky, minute ice crystals that shimmer and sparkle as they float down. It's quiet and crisp and frozen and bright. 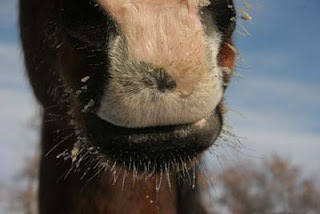 The horses have ice crystals on their whiskers and in their noses. Dragon smoke from their breaths rises in the air and floats away. The temperature rises with the sun... it's up to zero degrees now. 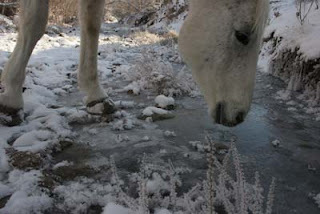 The creek is frozen over. 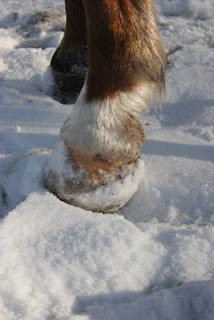 I bust a hole for the horses to drink from. 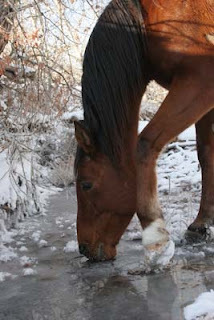 (One water trough for one group of horses has a stock tank heater - I'm still working on the stock tank heater for the other group). 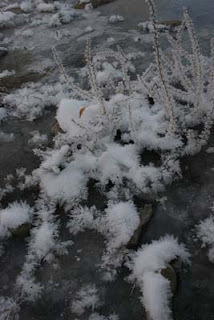 Hoary frost decorates the tumbleweeds and rocks in the creek. 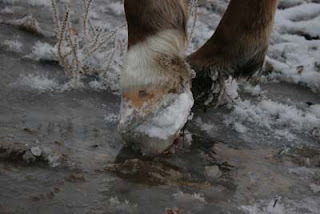 The horses are walking on high heels - big ice balls packed in their hooves. Even Jose is walking carefully. 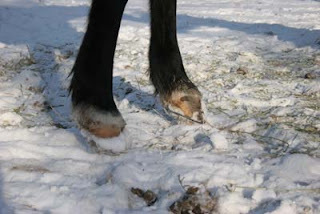 Not easy to romp and play on high heels. 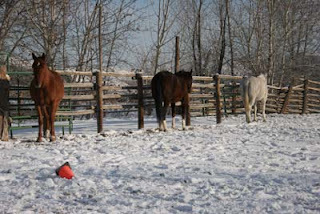 The horses take a break from eating, turning broadside to the sun to absorb the warmth. Saturday the high - the HIGH - is supposed to be 7* F. That's after another round of snow that's supposed to come through. Urban myths have it that the Inuit have many words for snow: some say 4 words, some say 100 words, some say 400 words. I have just two: fascinated and obsessed.